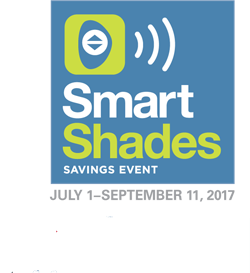 You are here: Home / Window Treatment Motorization / Motorized Shades Savings Event! At Window Treats here in Middletown, we’re always happy to point our customers to ways to save on their window treatments. And right now, we’re particularly excited to announce the latest Hunter Douglas savings event, which is helping numerous customers save on popular window treatments with the top-of-the-line operating system. Speak with one of our trained consultants or read on to learn more! If you have been debating on whether to purchase new your blinds and shades with motorization, don’t hesitate. 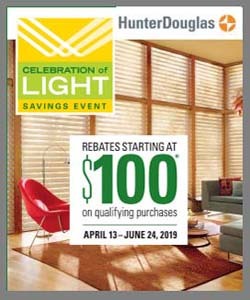 Hunter Douglas is offering a $150 rebate on their most popular window shades when you add PowerView® Motorization. No longer for just convenience, PowerView Motorization opens a whole new world of functionality, privacy, and safety for your home. With PowerView, Hunter Douglas has outdone itself. But don’t just take our word for it—look to the experts. PowerView won the coveted Red Dot Award for 2016. 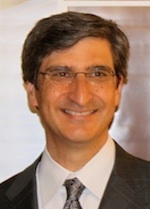 The award honors design innovation and is recognized internationally. With more than 17,000 entries, Red Dot is one of the largest competitions in the world. But not only that—PowerView has been noted in other arenas, including Interior Design’s Best of Year, Chicago Athenaeum Museum of Art and Design’s Good Design, the Window Covering Manufacturers Association’s Top Design Innovation, and Technology Integrator’s Excite Award. This is a mail-in-rebate offer that’s valid for qualifying purchases made 7/1/17–9/11/17 from participating dealers in the U.S. only. For certain rebate-eligible products, the purchase of multiple units of such product is required to receive a rebate. If you purchase fewer units than the required multiple of the specific model and operating system, you will not be entitled to a rebate; partial rebates will not be awarded. Offer excludes HDOrigins™ and Nantucket™ Window Shadings, a collection of Silhouette® Window Shadings. Rebate will be issued in the form of a prepaid reward card and mailed within 6 weeks of rebate claim receipt. Funds do not expire. Subject to applicable law, a $2.00 monthly fee will be assessed against card balance beginning six months after card issuance and each month thereafter. Additional limitations may apply.